Full Text: Federal government replies Obasanjo – Royal Times of Nigeria. 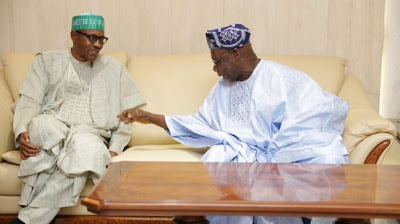 The Federal Government has replied to a letter by former President, Olusegun Obasanjo’s criticising the administration of President Muhammadu Buhari. Lai Mohammed, the Minister of Information and National Orientation, gave the response in a seven-page statement. The former President had in the letter asked President Buhari not to seek for a second term in office. For the record, Chief Obasanjo is a patriot, and he has proven this time and time again. We appreciate what he said concerning the Administration’s performance in two out of the three key issues that formed the plank of its campaign: Fighting corruption and tackling insurgency. Specifically, the former President said President Buhari must be given credit for his achievement so far in these two areas. We thank him for this.